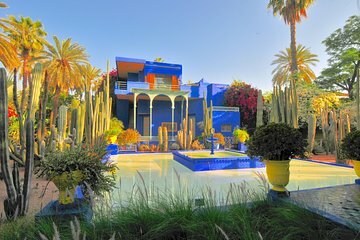 See beautiful gardens and learn about Berber culture with this excursion. You’ll visit the Jardin Majorelle, which was purchased in 1980 by Yves Saint Laurent, home to beautifully landscaped gardens and a museum focused on Berber life and culture. You'll also get to take a camel ride through a palm oasis, with a stop at a Berber home for tea and snacks.